Own a piece of Clapton History! Vintage Guitar Gems, an established Vintage/Used Guitar & Amp store in the Conejo Valley was contacted by Yvonne Elliman (EC’s backup singer for many years as well as a songwriter, recording artist and actor) to sell the guitar that was used to record ‘Let it Grow’ during the famous 461 Ocean Blvd recording sessions at Criteria Studios in Florida in 1974. Mark Lane, the man behind Vintage Guitar Gems is thrilled that Yvonne, a great friend, thought of him and his company when she finally decided to part with this rare beauty. Estimates on the final sale price are between $200K & 400K! It is on eBay now and will run for 7 more days. 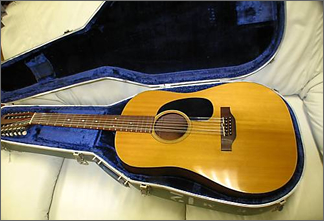 It’s an astinishing asking price for a guitar that was “played” not owned by Mr Clapton!